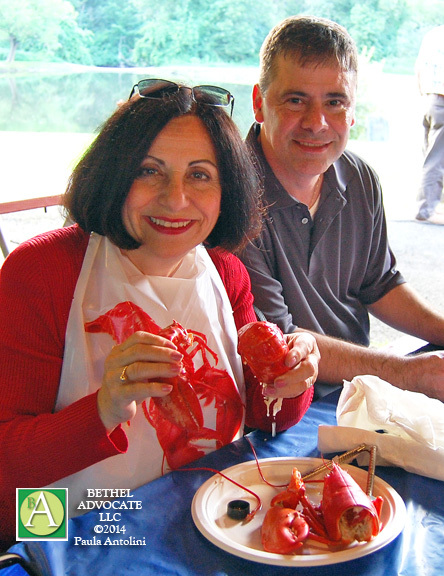 Photo: CT State Senator Toni Boucher (left) and CT State Representative Will Duff at the Republican LobsterFest 2014 (Bethel Advocate 2014 file photo). 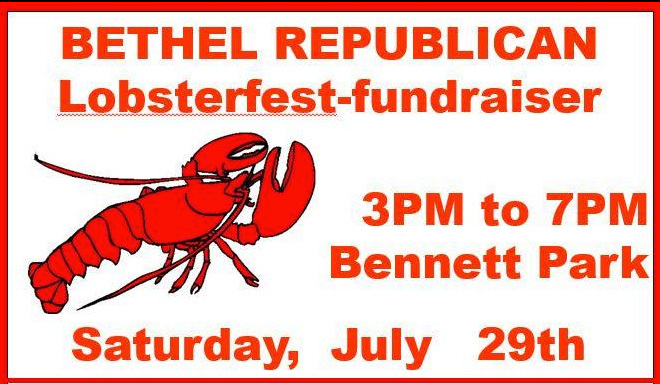 Have some lobster and talk politics with your elected officials and candidates. 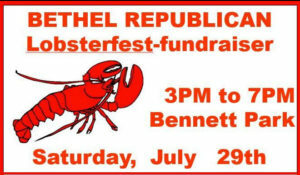 Join the Bethel Republican Town Committee for their Fun and Fund-Raising Annual Lobster-Fest Picnic! Prices IN ADVANCE, $35 per Adult, $30 for Seniors and Adult Students; Family (2 Adults + 2 Kids) $75 (Kids get Burgers, dogs etc., additional Kids $5 each). Add $5 per each ticket price at the event. James L’hernault, 5 Shelter Rock Rd, Bethel, CT 06801-1315. For more information, please contact Kitty Grant at (203) 792-4995.